For most, the NFL being back means they can root for their favorite teams every week, or cheer on the players they drafted for fantasy football. For others, the NFL being back means it’s time for some intense sports gambling. Whichever side of the fence you sit on, I’m sure you’ve dabbled in the other before. With week 1 of the 2017 NFL season finally upon us, I decided to give the five picks which I’m most confident in for this week’s action. This will hopefully become a tradition, so make sure to log onto Slant Sports and follow along with my predictions. And if you put any money of these, I’m not responsible when you lose the house. Starting off my prediction series by taking the Browns probably won’t do much for my credibility, but ten points is way too large a spread to ignore here. Usually, you can do alright by simply picking double-digit underdogs in the NFL, let alone a home underdog the very first week of the season. Cleveland has improved from last year, and though they’ll probably still end up with a top 5 pick this season, I think they can keep this game within two scores when it’s all said and done. The Browns have a strong offensive line and should be able to control the clock enough on the ground to keep this from getting too far out of hand. I still expect the Steelers to win this game, but I just think they will do so by less than ten points. Once again, I’m going with the underdog. This time, though, that dog is on the road. Seattle has arguably the best front seven in football, and a strong secondary behind it as well. So, despite the greatness of Aaron Rodgers the Seahawks should be able to hold the Packers offense in check for much of the afternoon. Offensively the Seahawks have a horrific offensive line, but still possess an impressive quarterback in Russell Wilson. The Packers have struggled defensively against mobile quarterbacks over the last few seasons, something I expect to continue on Sunday. I expect Seattle to win this game outright, and continue to position themselves among the class of the NFC this entire season. So far I’ve picked both the Browns and the Rams. What am I doing? Anyway, the Colts are starting Scott Tolzien at quarterback this Sunday. I don’t know what else to say about that. Starting Tolzien on the road should be a loss in the NFL, and while I don’t love the Rams offensive talent, they still feature some impressive defenders. Plus, the Colts are really bad defensively and should struggle to stop even the lowly Rams. The Rams should be able to do enough at home to cover this spread and win the game outright. The first of two Monday night games this week should remain close throughout. The Vikings are one my favorite sleeper teams in the NFC this year, and despite playing poorly in the preseason, I am sticking with them to compete for a wild card spot. The Saints are, well, the Saints. They aren’t bad whatsoever, but they certainly aren’t overwhelmingly impressive either. Mark Ingram, Michael Thomas, and Drew Brees should provide enough firepower on offense to stay competitive each week, but I think the Minnesota defense is good enough to win this one at home. With all of that being said, 3.5 may be asking a lot of Minnesota to cover. I wouldn’t be surprised whatsoever if the Vikings won this by just a field goal, and failed to cover the spread. So, give me the Saints and the 3.5 points. I’m all in on Los Angeles this week, as you can see. 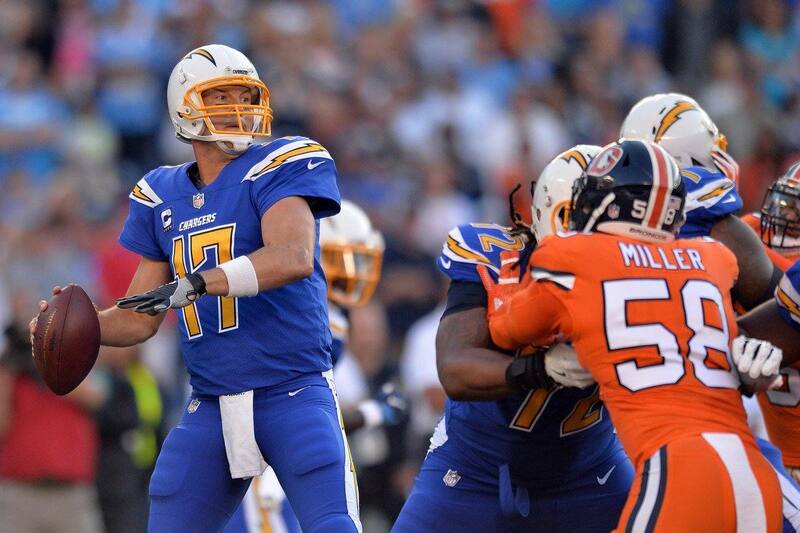 I expect the Broncos offense to be just about terrible this year, and I expect the Chargers defense to be pretty good. Up front Joey Bosa should dominate all game long, and I don’t think the Broncos will have good enough quarterback play to combat this pressure. Philip Rivers and the Chargers’ offense features some firepower, and despite the big names on the Denver defense, I do expect that unit to take a step back this season. Give me the Chargers and the points this week.